March 27, 2017. When thinking about company assets, it’s usually financial or other material income and possessions that come to mind. Company directors tend to ignore another valuable asset – organization’s informational inventory. Since we are already living in information-based economy, the way that companies manage information becomes a very important factor in their overall success in the market. Studies show that 83% of businesses mismanage and fail to take advantage of their company’s information, while information management is slated to grow rapidly, with Chief Data Officer demand growing 90% by 2019. Companies that do not control their information are not in charge of the essence of their enterprise. They often find out that critical data is unavailable or lost at decision time. They also tend to be late when it comes to orders, payments or agreements, have higher activity costs and bigger mistake rate, since they cannot efficiently access their information. For example, an agreement that can be negotiated and signed in one day often takes more than a week. As a result, employees and clients usually lose trust in such organization, and employee turnover rate can be high. Here’s how automated information management works: all possible contracts, proposals, employee information, communication, tasks, responsible employees, and task progress becomes visible in one system, in real time. All information flows according to automated workflows ensuring the highest possible performance and accuracy. The system is accessible remotely, from anywhere, and accurately shows who is working on which projects, which tasks are lagging behind and what needs more input from managers. 1. Better and quicker decision making. When a company installs ECM, a manager can instantly get all the information about current processes, and doesn’t have to rely on the one person familiar with that particular task or that one department of the company. Smart notes, reminders and controls for the assigned tasks will be issued so that everything is visible and performed on time. Decision making accelerates by a factor of three. 2. Attractiveness to investors. Companies that have sharp information management practices are usually much more attractive to potential investors, as they appear to be information-savvy and accurate in their processes, thriving in the information age. 3. Increase in transparency. Every employee can now check the status of a certain document or process, depending on their privilege level, so the company becomes 100% transparent. 4. Going paperless and save. Thanks to the system, paper documents generated within the organization decreased by 60%. Costs for document printing and transfer get reduced by about 60%. 5. Saving time. Document preparation takes up to 20% less work time. 6. 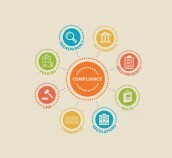 Easy dealing with compliance issues. ISO, Health & Safety and financial compliance becomes easily achievable to any organization. 7. Increase in productivity. Companies that manage their information properly can achieve a significant productivity increase. 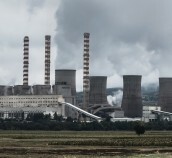 For example, since DocLogix reduces workload related to the information, workload-related to information management can be reduced by 35%, meaning that more time might be dedicated to the primary production-related duties. Prepared templates and clear processes allow users to prepare documents correctly on the first attempt. 8. Cooperation and responsibility. The company will have an overall increased cooperation and responsibility. Sometimes production companies have one irreplaceable person, because he keeps a lot of company information about tasks, employees and how things should function. With DocLogix, all information is stored in a structural environment, thus all employees are able to reach it based on their access level. Smart notes, reminders and controls for the assigned tasks will be issued so that everything is performed on time. DocLogix is a unique ECM platform, recognized in 2016 as the most progressive in the world, flexibility being its biggest strength. Any workflow or document form can be customized, while different solutions can be offered, such as office management, contract management, project management and so on. For more information on DocLogix, please visit the website of the company. DocLogix delivers a set of built-in business solutions dedicated to solving issues related to documents management, workflows management, invoicing, HR, contracts, procurement and meetings management, project documentation, work orders, inventory and quality management, machine maintenance, risk and incident management, time and expenses tracking and reporting. As a result of continued excellence, DocLogix has been twice selected as the best solution for information management in Europe, at the European IT and Software Excellence Awards, 2015 and 2014. 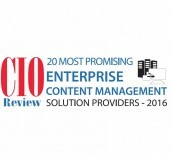 Additionally, in 2016, CIOReview magazine recognized DocLogix as one of the 20 Most Promising Content Management Solution Providers in the world.